The enemy that populates the last world of the game; the Front Yard. As such, it can be seen as somewhat of a “final boss” if you will. But there’s more than one of this nightmare. 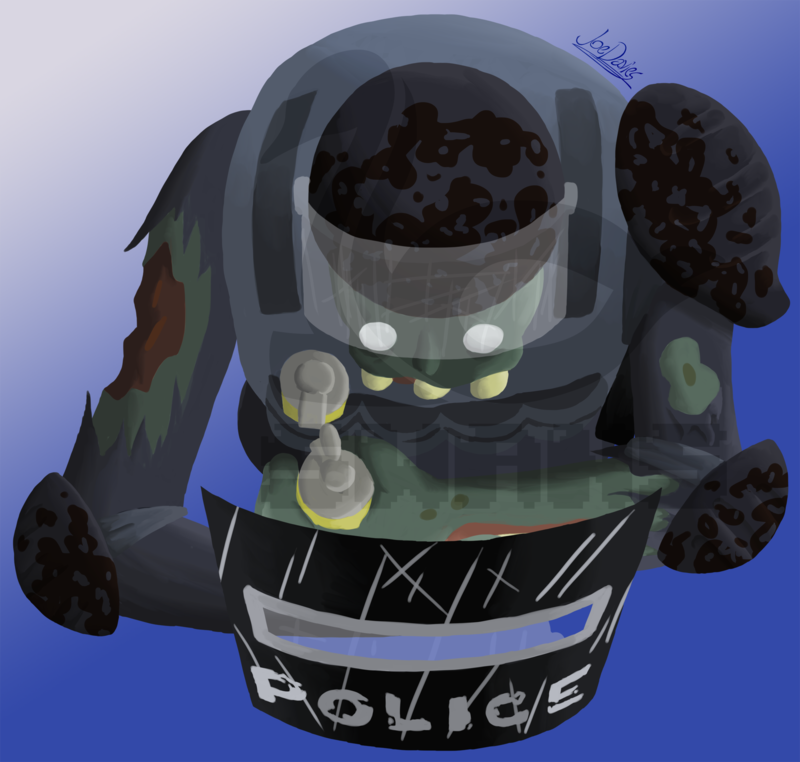 Its perk is that it can throw gas grenades at Iggy whenever he enters a spotlight on the ground. 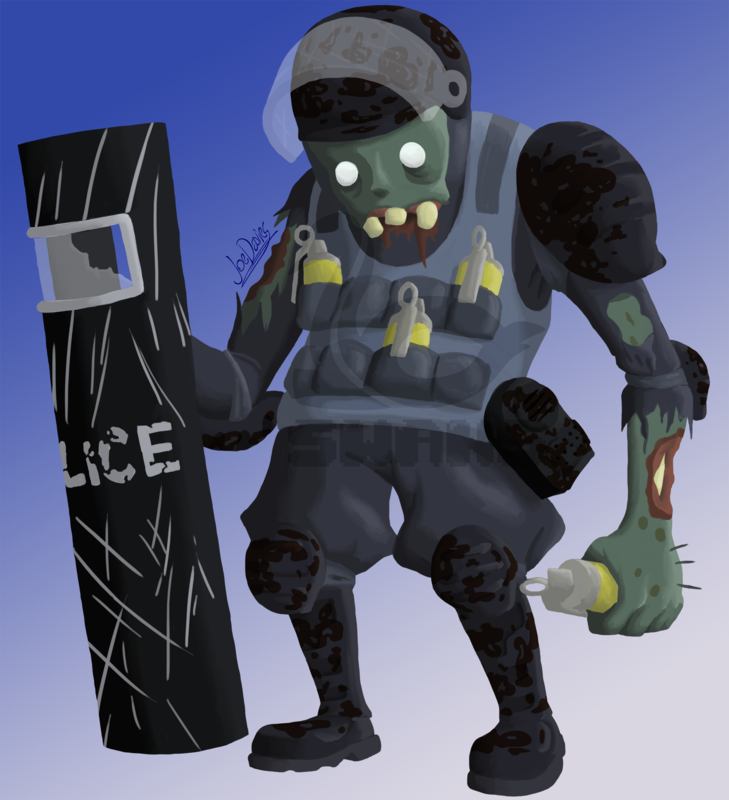 These grenades don’t kill Iggy, but rather make him so slow and tired that he’s far more vulnerable to a zombie attack. It is impossible to avoid the gas grenades if Iggy is seen in the spotlight, but the stun effect does wear off eventually. Just pray a zombie doesn’t catch you before that happens! 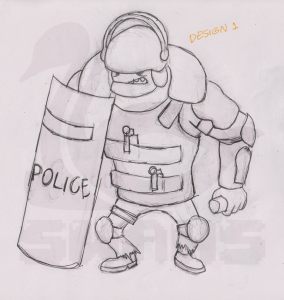 As this guy is in the last world of the game, I thought it would be best not to show any humor with its design and make him fully scary and intimidating, but while still retaining the tone of the game’s designs. And 16 Swans and I believe I’ve succeeded because of its mostly dark colours, menacing stature and lack of a lower jaw. I also went the extra mile by including extra gross details, like scratches on its shield, bits of excess hair on its skin and hardened blood on its protective gear. Being that its grenades are its main method of attack, I made sure to contrast them by colouring them a brightish yellow. 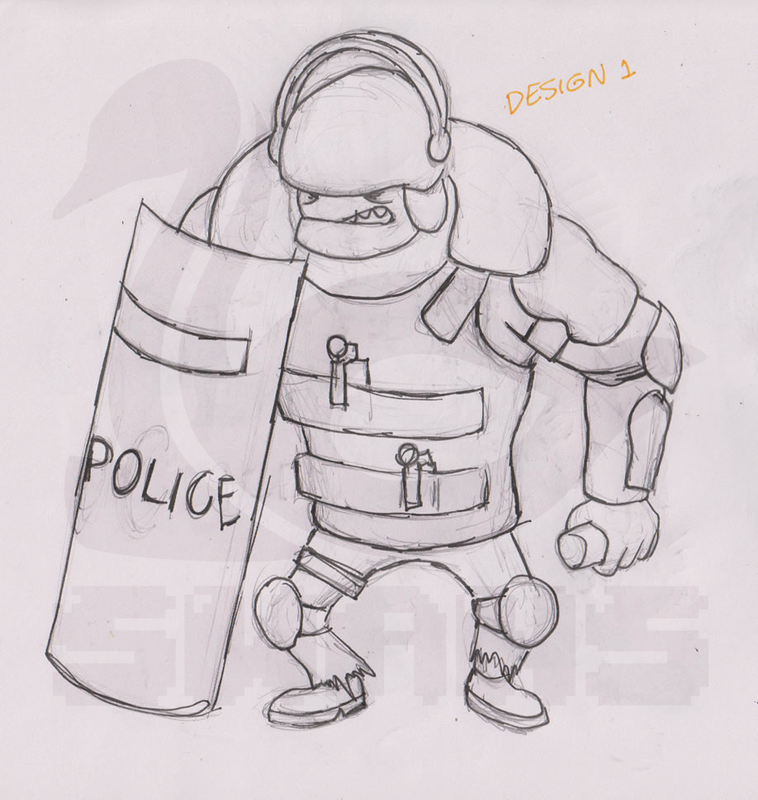 16 Swans were very specific with this guy’s design saying that it’s riot cop attire should be mostly intact, so there wasn’t much creative potential to this character. 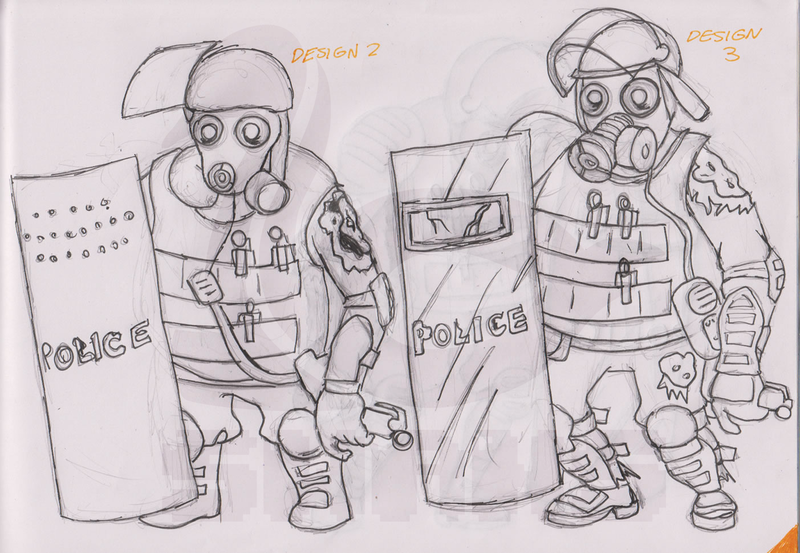 But I still made plenty of designs anyway, so check out the sketches below to see what I mean. 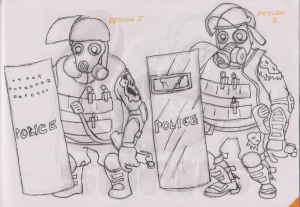 I originally thought of giving this guy a gas mask since it handles gas grenades. But 16 Swans asked that I remove it saying it makes him look too human, and its zombieness doesn’t show. Looking at it now, I completely agree.